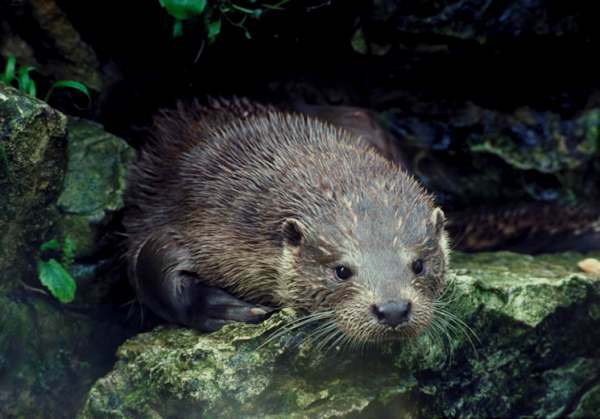 After some years of decline, otter numbers on many British rivers have risen sharply since the mid 1980s. 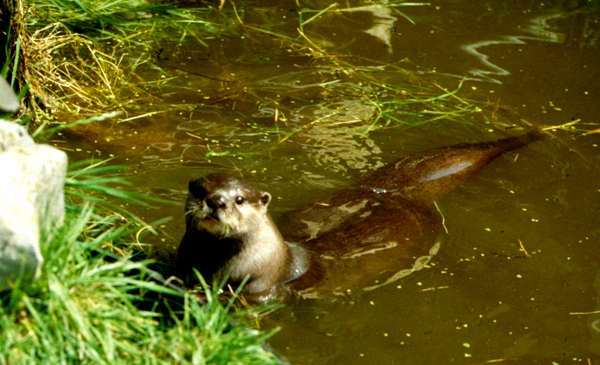 In Wales, some of this improvement must be down to the work of the Otters in Wales project, which has given added protection to otters and their habitat. Much also is undoubtedly due to improvements in water quality. 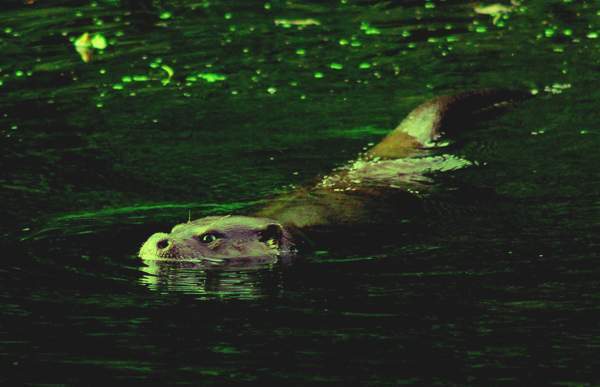 Otters eat fish, including crayfish, freshwater mussels and other small creatures, and they are reputed to be particularly fond of eels. There is no evidence that increased otter numbers are damaging sport fisheries. 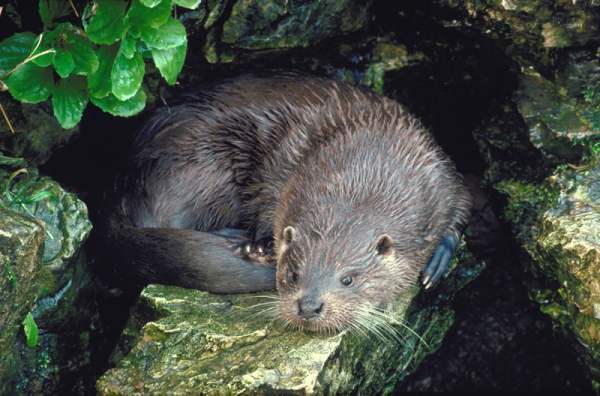 It may be that the increased survival of juvenile trout and salmon in the rivers has provided more food for young otters; however, the reduction in sea survival of salmon is not good news for adult otters, who need quite substantial meals. 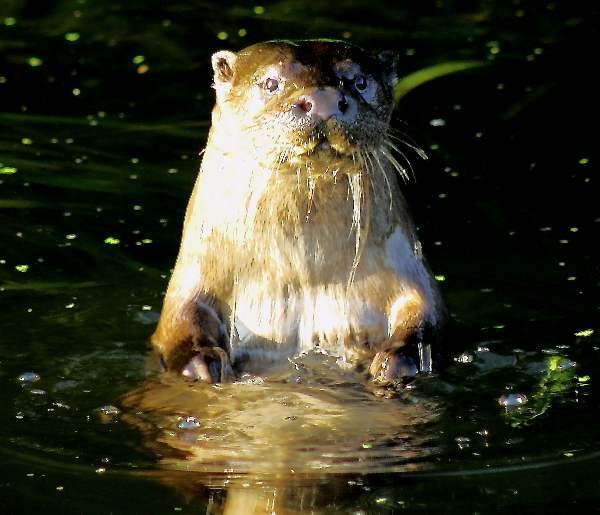 As they return to river margins to spawn in spring, frogs and toads are preyed on by otters, which tend to forage along the margins where they can easily trap their prey. Often displayed in country shows, Asian Small-clawed Otters, Aonyx cinereus (pictured below) are alien imports to Britain and Europe. They are smaller than the Eurasian Otters that are native to Europe (and in fact the smallest of all otter species). This page includes pictures kindly contributed by Will Bown and the Countryside Council for Wales.